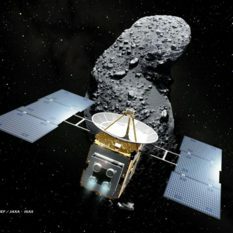 Since I posted an update Monday about JAXA confirming extraterrestrial samples in the Hayabusa sample return capsule, JAXA has posted an English-language version of their press release, which contains a bit more information. 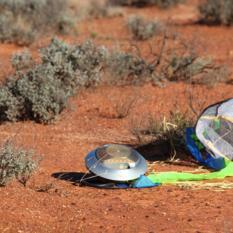 JAXA announcement: Itokawa sample return successful! 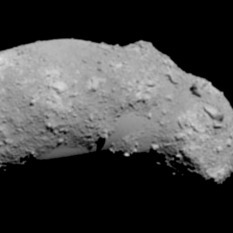 It's official: in a press release today, JAXA announced that some 1,500 dust grains scraped from the interior of Hayabusa's clean-looking sample return capsule are not of terrestrial origin so must be from Itokawa. 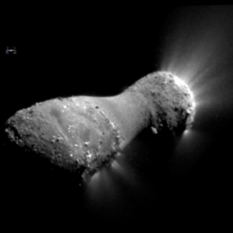 Here's the five close-approach images of Hartley 2 captured today, November 4, 2010, by the Deep Impact spacecraft, collected into one file. Boy, do these images reward close examination! 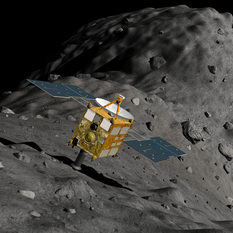 Today the 365 Days of Astronomy podcast aired my contribution, The Flight of Hayabusa, a recap of that dramatic mission. This week, Jennifer Vaughn and I are representing the Planetary Society at NASA's Exploration of Near-Earth Objects (NEO) Objectives Workshop, or ExploreNOW. 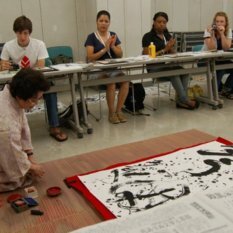 Upon James Aldridge's return from Japan, he posted several albums worth of amazing photos, including several of their calligraphy instructor, well-known artist Aiko Tanaka, creating a gestural brush painting to commemorate Hayabusa's return. 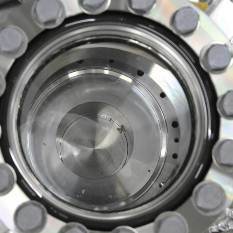 A very brief item posted on the Hayabusa website included two pictures of the interior of its sample return capsule, one of which shows a particle. Covering the events of Hayabusa's return involved a lot of watching and waiting. 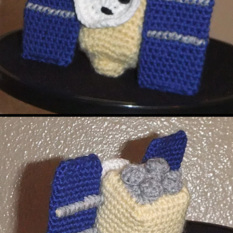 Rather than go blind staring at my computer and cause carpal tunnel syndrome by excessively clicking the refresh button, I decided to...go blind and develop carpal tunnel syndrome by doing some crocheting. 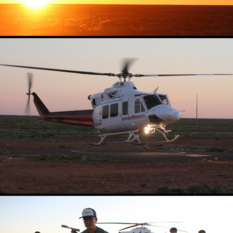 Here are a few photos from a Flickr gallery from the Australian Science Media Centre documenting the Hayabusa sample capsule's first step in its journey from Australia to Sagamihara, Japan, where it will arrive on Friday. The major news on the Hayabusa mission this morning is that JAXA has retrieved the sample capsule!